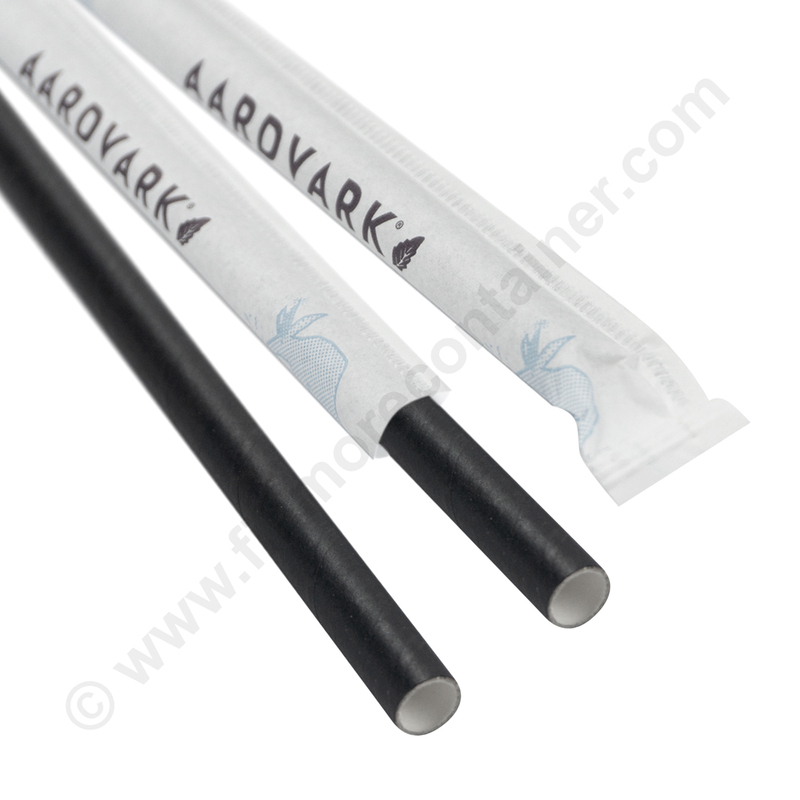 Aardvark 10" Black Giant Wrapped Drinking Straw (61631099). Aardvark Giant straws are slightly larger than the Jumbo straws. This straw is ideal for blended drinks or smoothies. 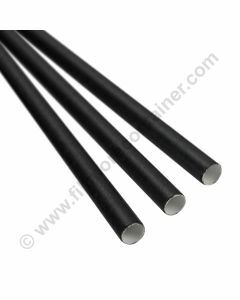 It features an inner diameter of 0.292" and an outer diameter of 0.318". 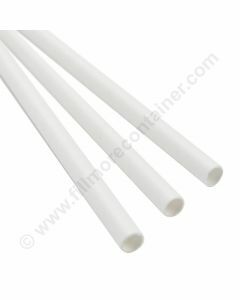 These straws are individually wrapped in a printed wrapper, which makes them ideal for restaurants, diners and cafe's. 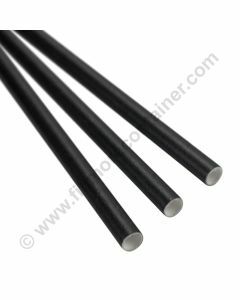 We offer these straws in bulk wholesale quantities of individual cases of 300 paper straws or master carton of 8 cases for a total of 2400 paper straws.